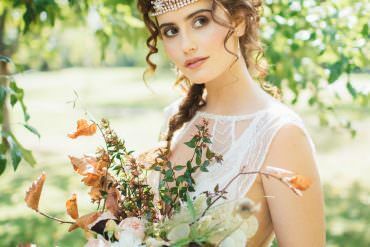 The fusion of styles in this wedding has me hook line and sinker. 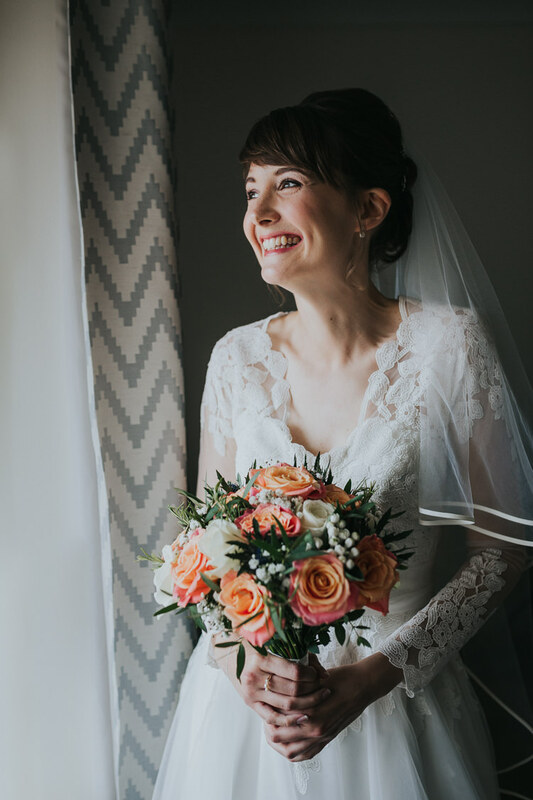 From the extraordinarily beautiful photography by Kate Gray Photography, delicately capturing all of those special moments and touches, to the modern colour pop coral colour scheme and the timeless attire. 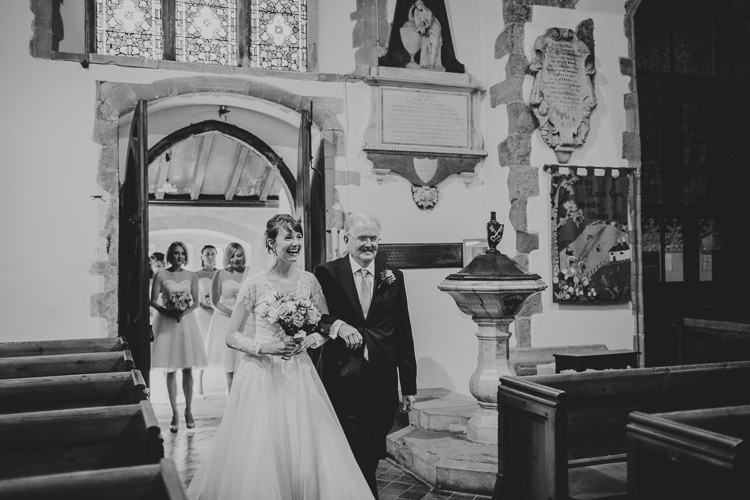 Alexandra and Dan said I do on the 10th September 2016 at the church where Alexandra’s parent’s got married on the same day 33 years ago. Isn’t that just SO lovely?! 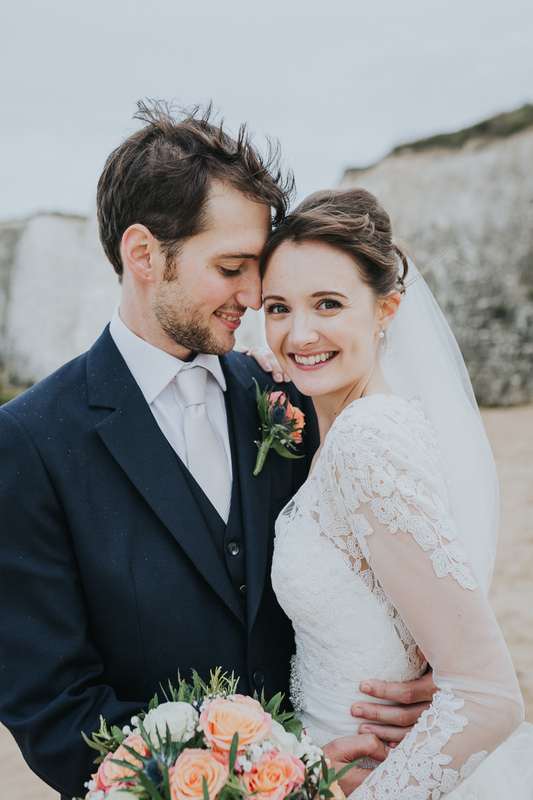 They then headed to The Botany Bay Hotel in Kent, which is just round the corner from Alexandra’s childhood home. 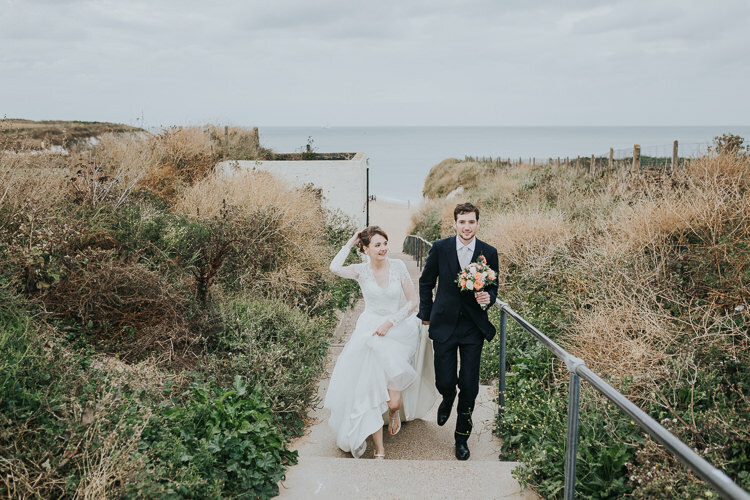 It was also perfectly located next to the beach where the couple had their gorgeous portraits taken, whilst guests enjoyed canapés, strawberries and bubbles on the cliff top. It all sounds so idyllic and it really was. The outfits as I mentioned before, were so gorgeous. 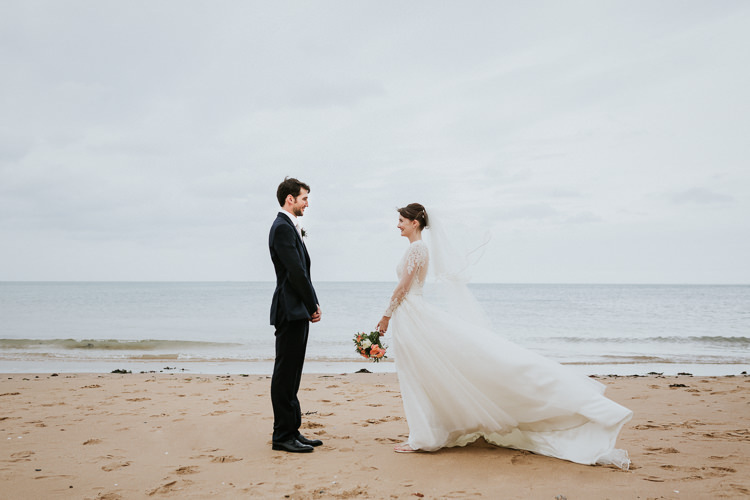 Alexandra chose to wear an illusion sleeved tulle gown by Diane Legrand, which she wore with a sparkly belt and long veil. Wow indeed. 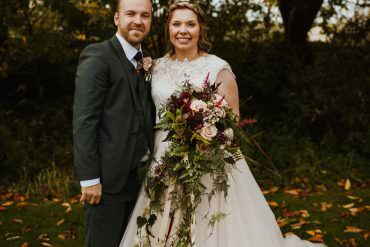 Dan was suited and booted in a dark three piece suit and white tie for a modern and classic style, while the bridesmaids donned custom made frocks. 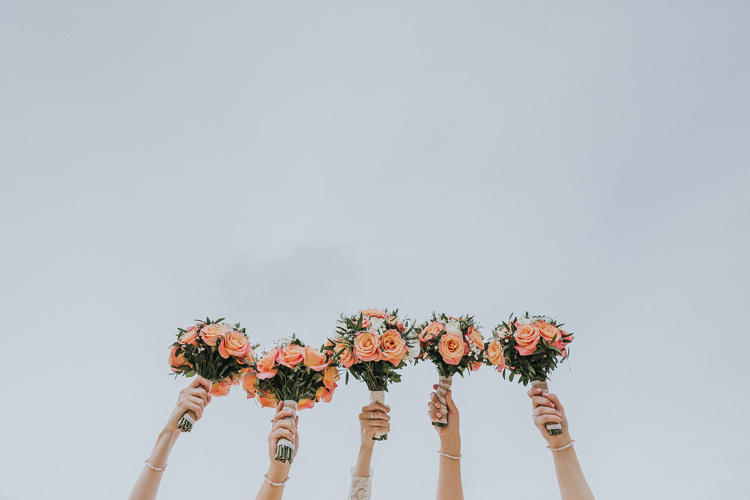 The florals really brought an injection of colour with the coral Miss Piggy roses, these were used everywhere to great effect. 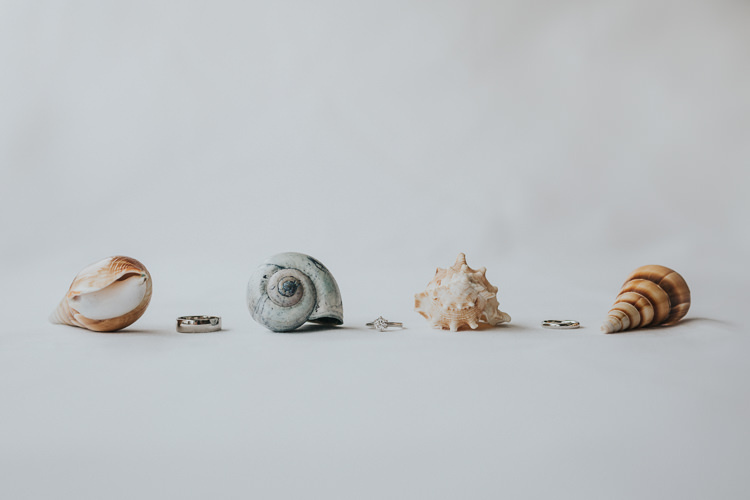 Plus seaside inspired details with the bunting, pebble place names and shells all added to the theme. I love it all. THE PROPOSAL | A very snowy day in Central Park, New York on 8 February 2015. The day started with Mimosas at the top of the Kimberly Hotel followed by a (very) extended walk around every corner of Central Park, leaving the beaten track and walking in 2 feet of snow to reach a spot out of the eyes of New Yorkers and tourists. Proposal recorded secretly on GoPro for all at home to see! 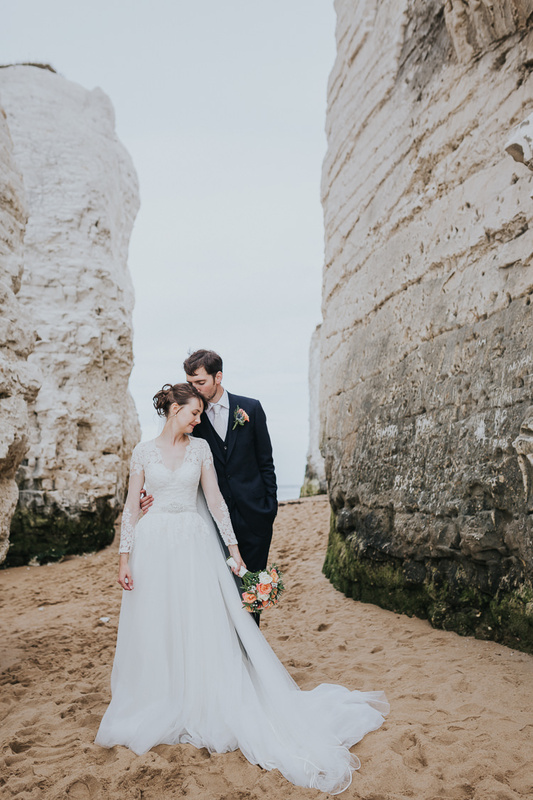 THE VISION | We wanted to keep the wedding very personal to us and make use of the beautiful beaches along the Broadstairs coast. 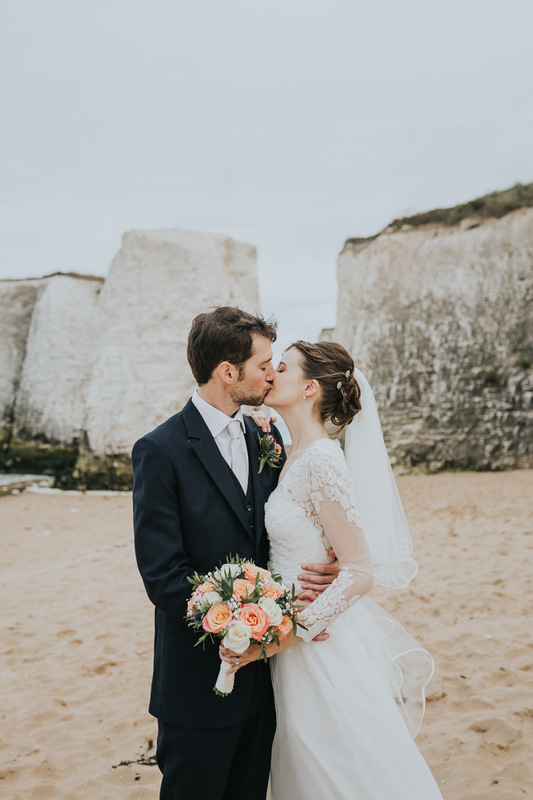 The Botany Bay Hotel and the beach itself are a stone’s throw from my family home growing up and it was an ideal location to hold the reception. 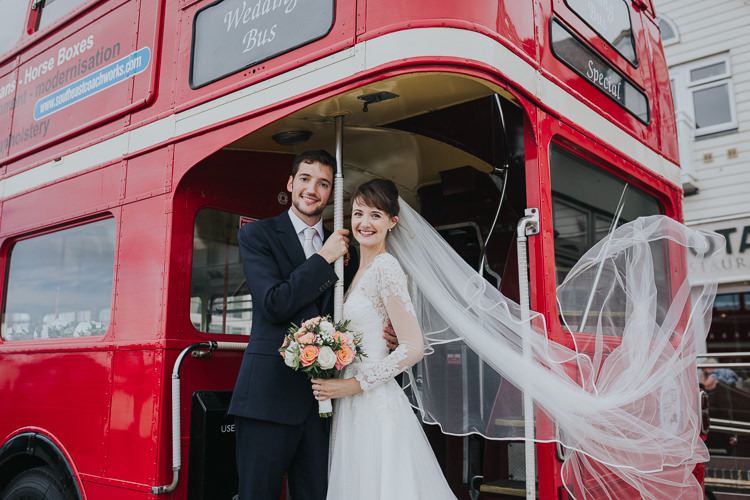 We had a touch of London where we currently live – with a red London bus for the guests and a black cab for the bridal party to travel to the reception. 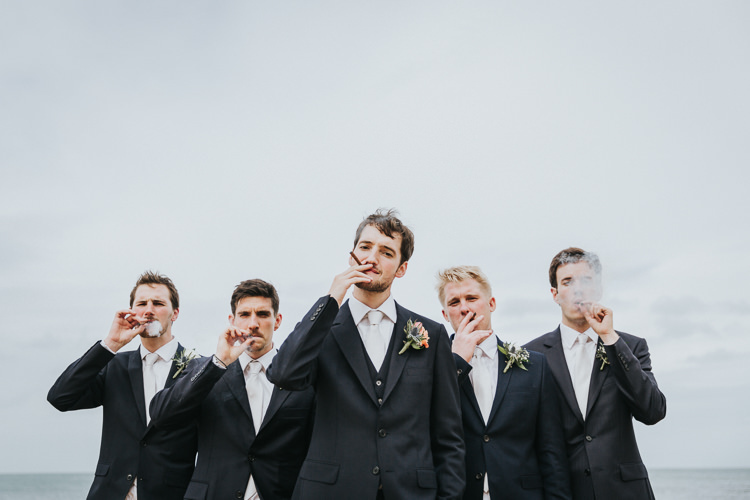 On arrival, the guests enjoyed canapés, strawberries and bubbles on the cliff top while we headed down to the beach for photographs and cigars with the boys and bridesmaids! 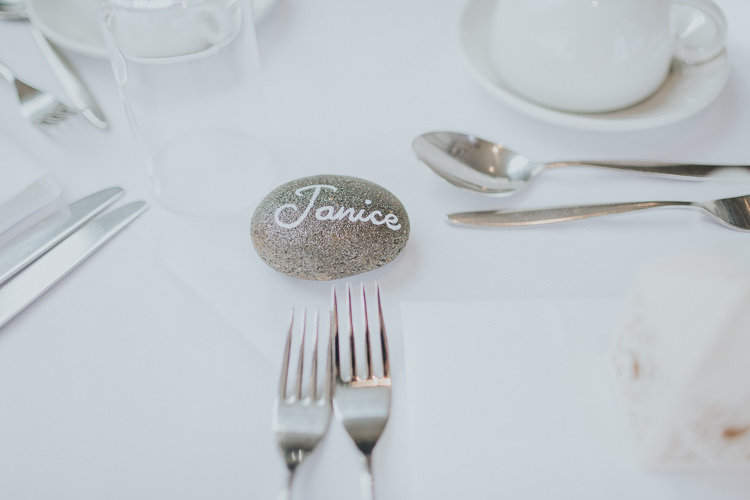 The beach theme continued inside with pebbles collected from local beaches as our place settings, handwritten with chalk pens. We tried to do as much ourselves – our wedding cake was baked and decorated by Dan’s mum Sara, the wedding favours shortbread biscuits baked by the mother of the bride, orders of service tied together with string, glassware collected for every table setting (with conical flasks for Dan’s love of science) and bunting material collected and handmade by Dan’s aunt Jude. 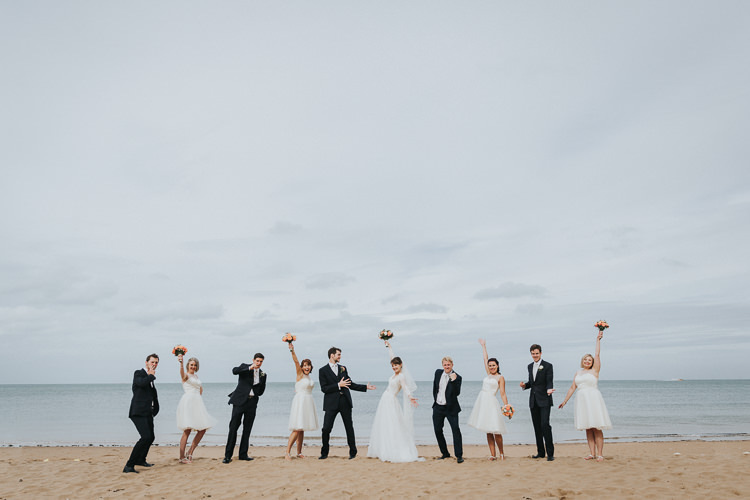 We kept the colours very simple – the bridesmaids in cream with glittery shoes and the groomsmen in navy with cream ties. 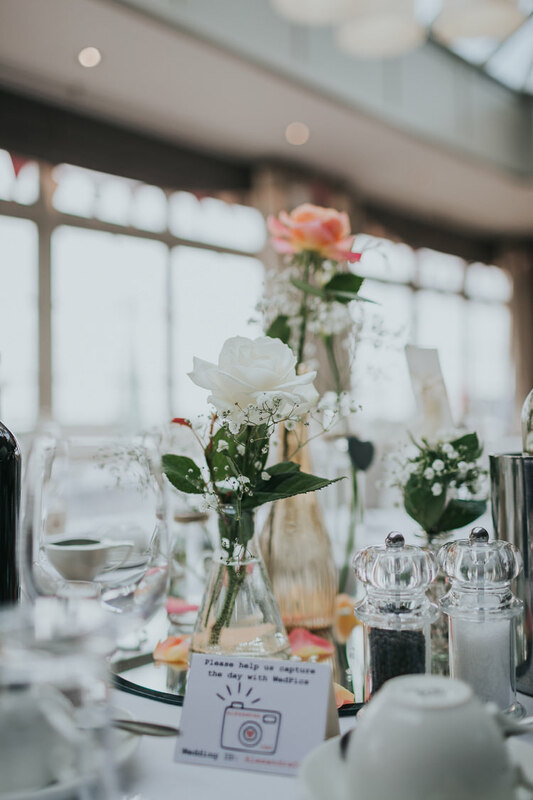 We tied everything together with the colour of the flowers – beautiful Miss Piggy roses in our bouquets and buttonholes, in glass bottles on the tables, separating each cake tier and scattered rose petals on the tables. 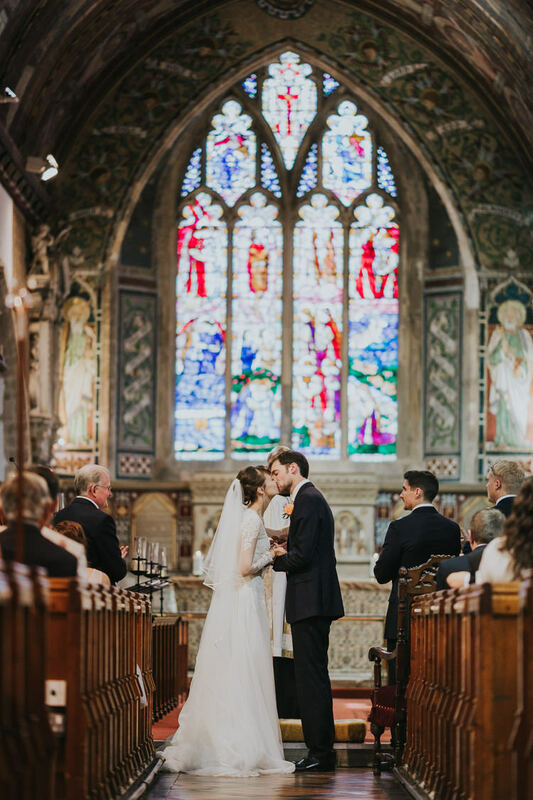 The ceremony was held at St Peter’s Church just down the road and is also where my parent’s got married on the same day 33 years ago. 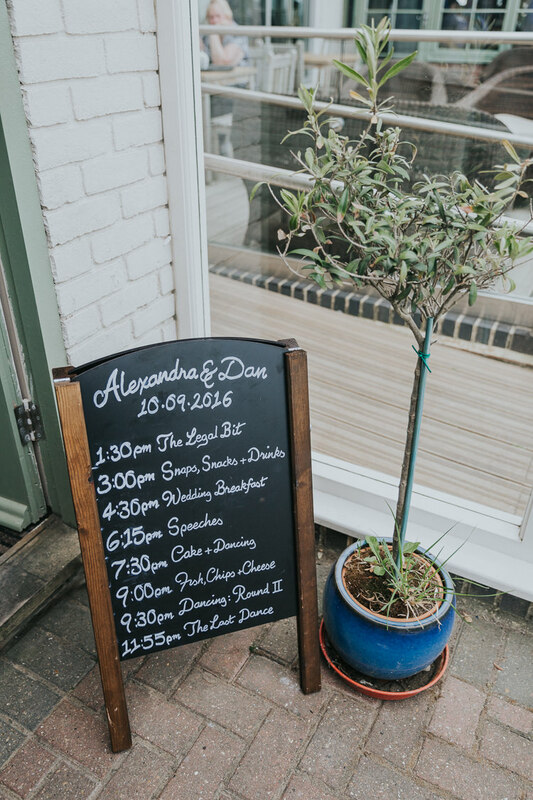 THE PLANNING PROCESS | Planning began as soon as the plane hit the runway from New York in 2015… finishing in the early hours of the wedding day with Dan writing his speech! 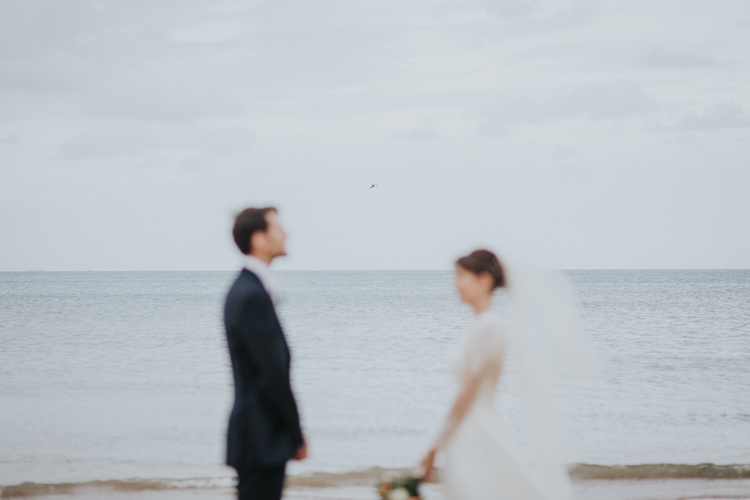 Organising a wedding by the sea from London was quite tricky at times but it all came together in the end. 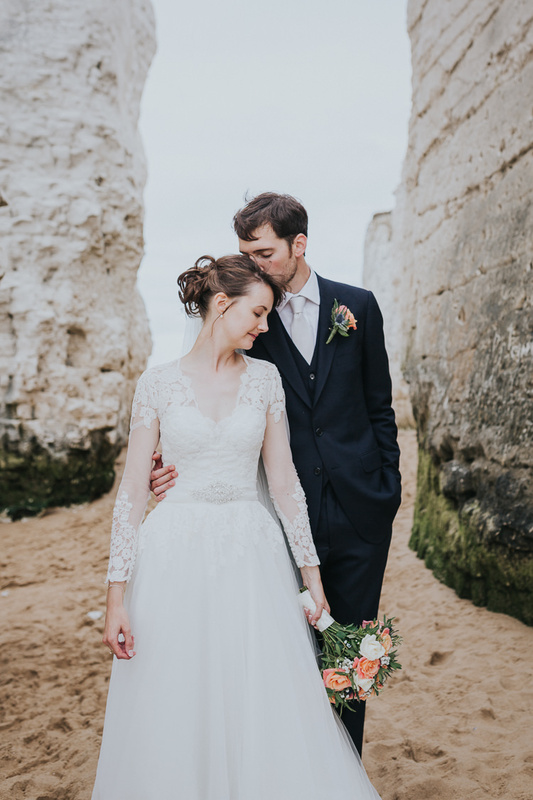 THE VENUE | Botany Bay, Broadstairs, Kent. 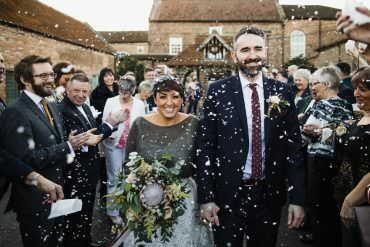 The ceremony was held at St Peter’s Church, followed by the reception at the Botany Bay Hotel. 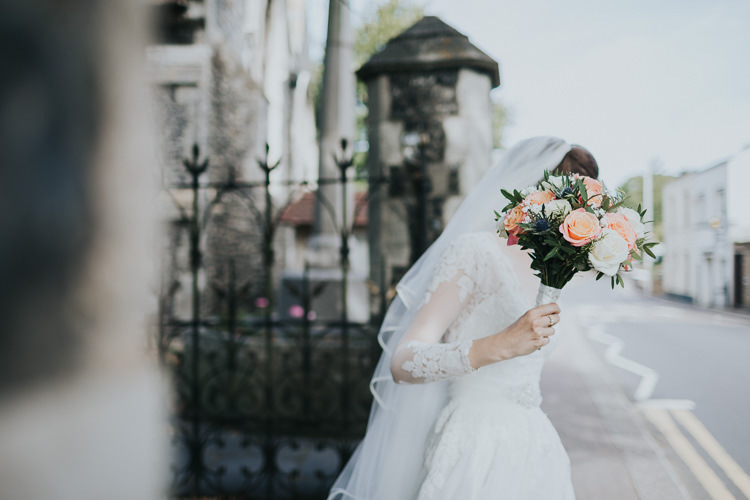 THE DRESS & ACCESSORIES | Dress, Diane Legrand from Teokath of London (Canterbury). Belt of the same designer, with detachable bow for the evening. 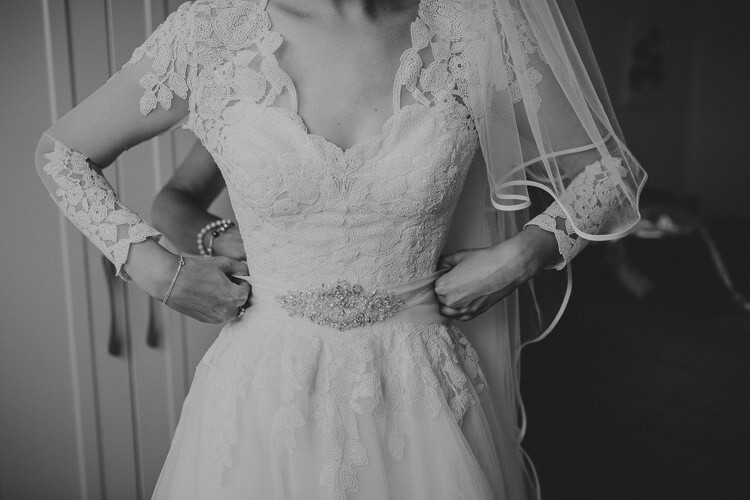 Veil – unsure of designer. 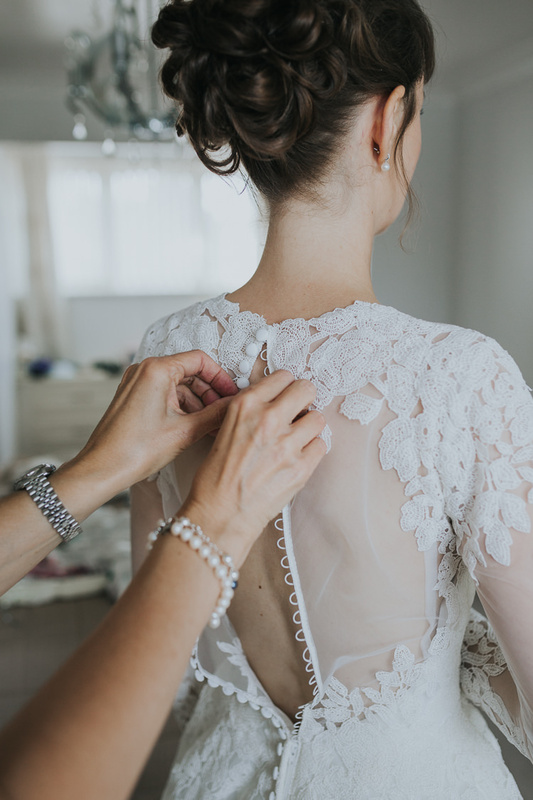 FINDING THE DRESS | Not as difficult as first anticipated! We started off at Pronovias on New Bond Street (a trip to London for my parents, with my dad taking copious notes). 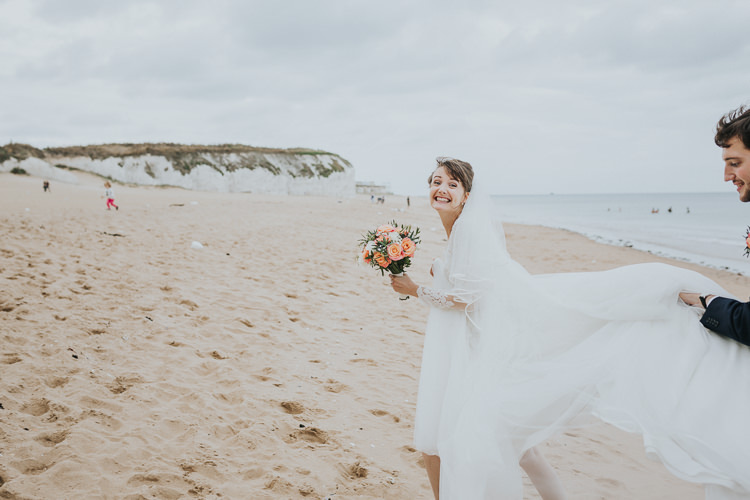 Having not enjoyed the formality and competition with other brides in London, we headed back to my home town and a tiny shop tucked away at the bottom of Broadstairs high street. Having narrowed the decision down to two dresses, we came across the Diane Legrand for a second time in Teokath, Canterbury. 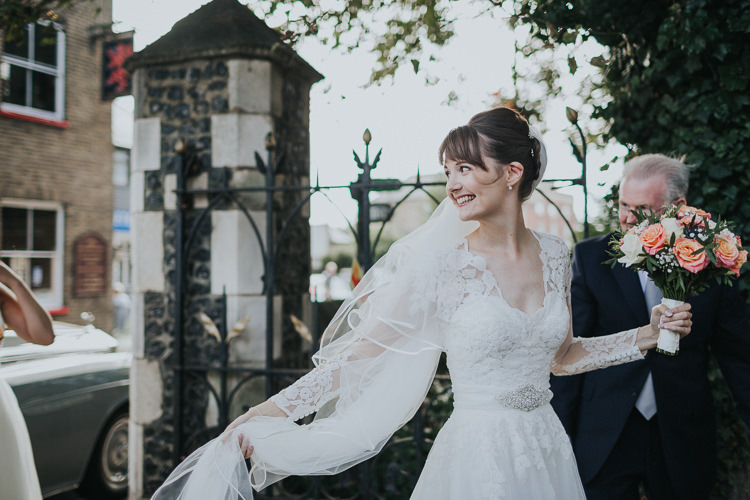 I fell in love with the lace design and buttons down the back of the dress and the delicate sleeves set the dress apart from any other I had seen. 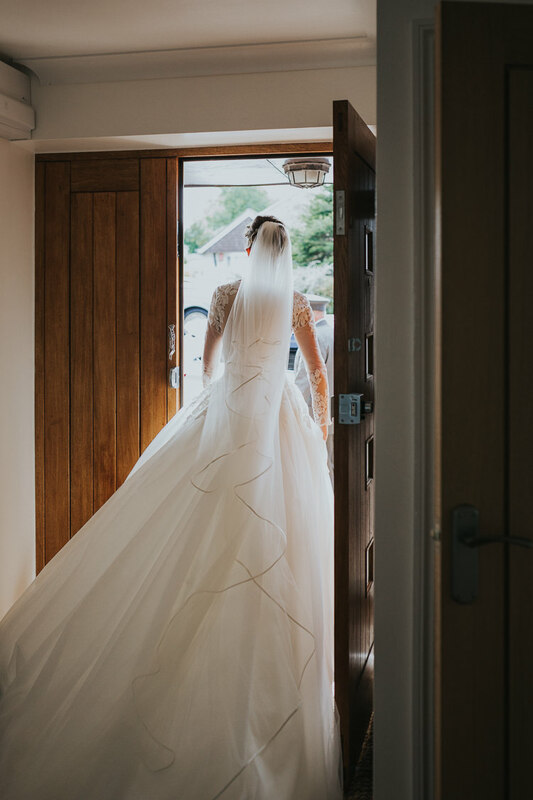 I realised I loved a much bigger train than I first set out to find and couldn’t resist a floor length veil. The belt added a bit of sparkle and a beautiful bow added on for our first dance. 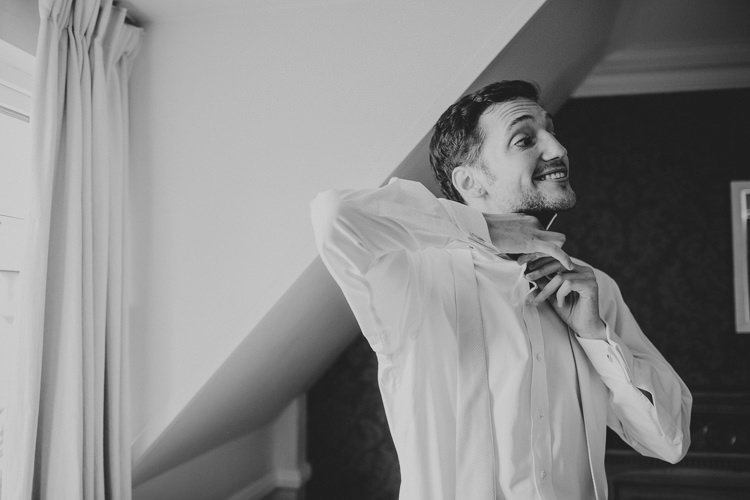 GROOM’S ATTIRE | Much more difficult than first anticipated! Three piece suit from Aquascutum. Shirt – Harvey & Hudson. 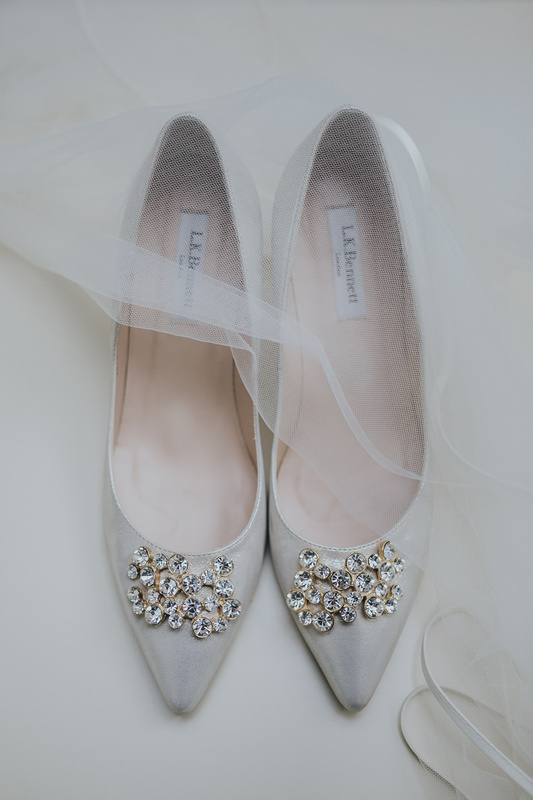 Shoes – Russell & Bromley. THE READINGS & MUSIC | Readings – Albert Einstein quote “Relativity” read by Dan Welsh (our Bristol Uni friend). 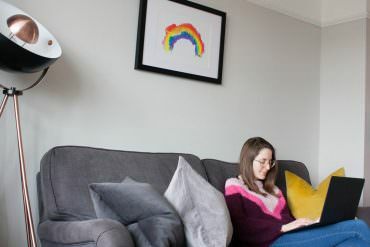 We now have the Albert Einstein reading printed on a cushion, a gift from our bridesmaids. I Corinthians XIII read by Stuart Cowen, father of the groom. Winnie the Pooh read by Janice Rogers, aunty of the bride. 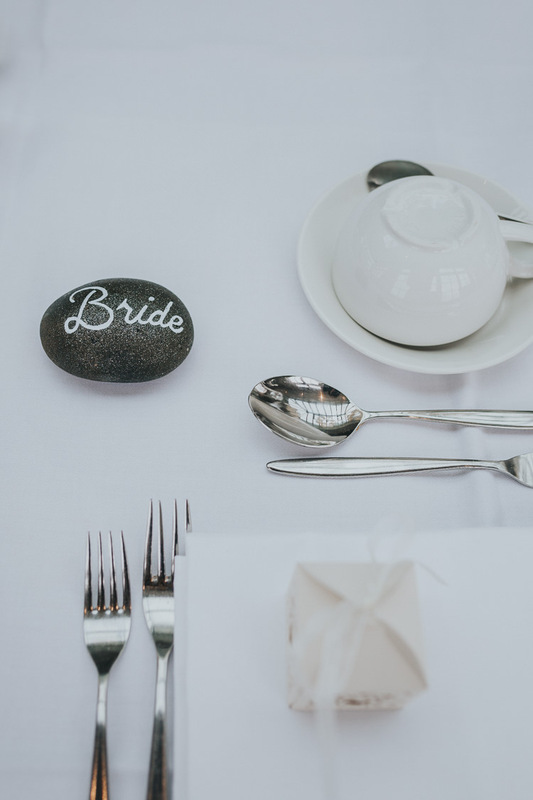 Music – Pre-ceremony music – Bach Air on a G String and Pachabel’s Canon. 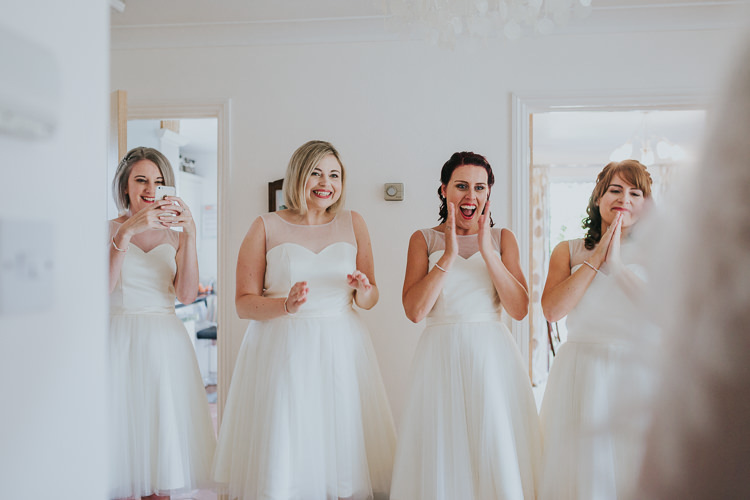 Entry music – The Bridal Chorus by Wagner. Hymns – Make Me a Channel of Your Peace, Shine Jesus Shine and Jerusalem. 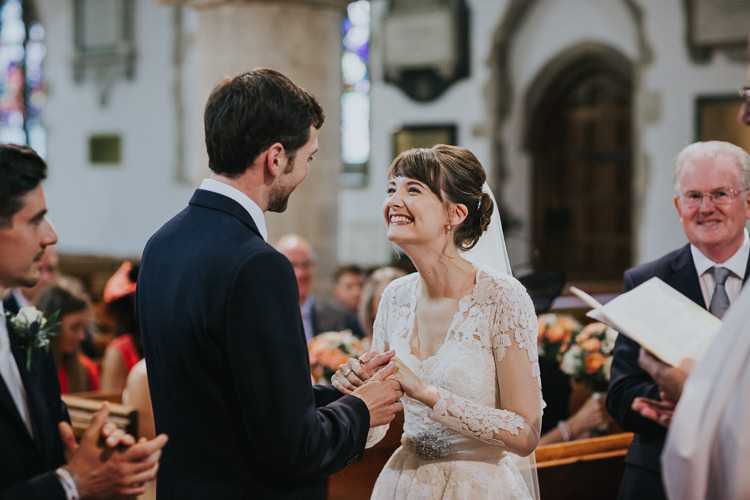 Signing of the register – Ave Maria, one of my nan’s favourite songs and Gymnopedies by Satie. 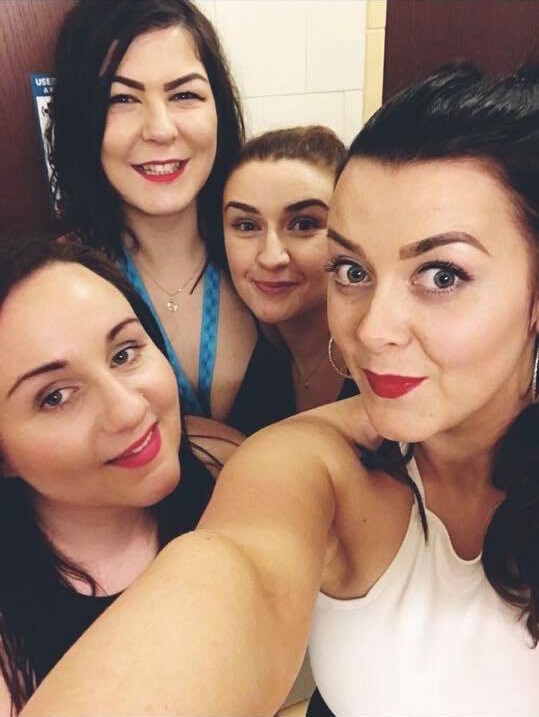 Evening reception – The Swing Smiths, a mix of big band, swing and motown. 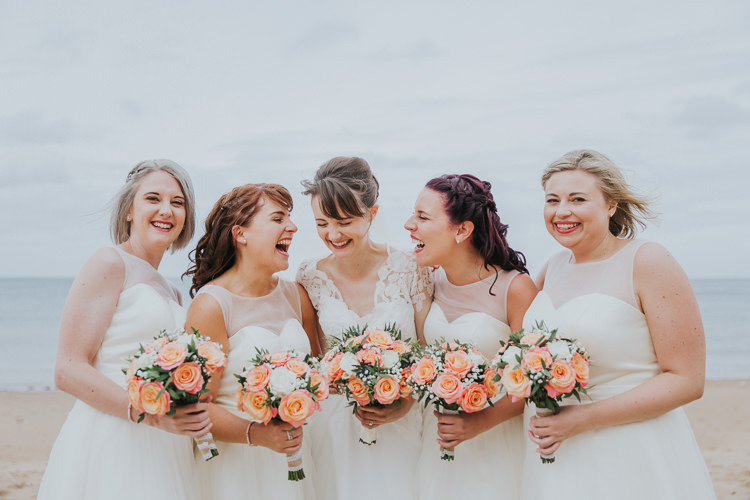 BEAUTIFUL BRIDESMAIDS | Liz, Jessica, Tree and Stephanie. Dresses handmade by The Velvet Birdcage, Worthing. 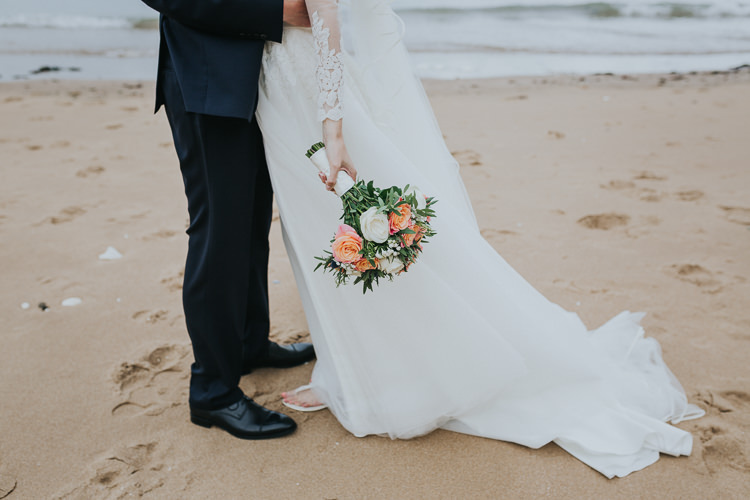 We first came across this seaside shop as they had been published as the dressmakers of Pixie Lott’s bridesmaid dress at her sister’s wedding. THE FLOWERS | Jan Seed and her daughter Kelly from Church Street Florists (Broadstairs). 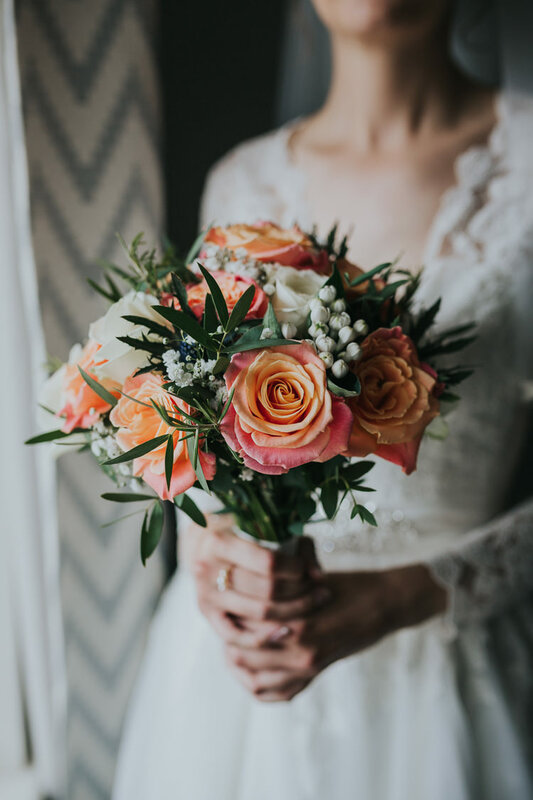 Bride’s bouquet – Miss Piggy roses, cream roses, thistles, white bravadia (tied together with cream satin and pearl pins). 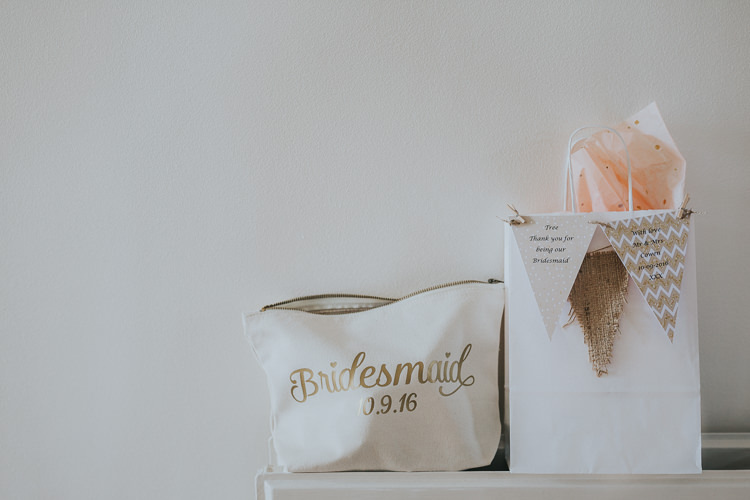 Bridesmaid bouquets – Miss Piggy roses and gypsophila (tied together with hessian and lace). Buttonholes – Miss Piggy rose and thistle (groom), cream roses (groomsmen and fathers), Singapore orchids (mother of the bride and groom – as we went to Singapore as part of our honeymoon). 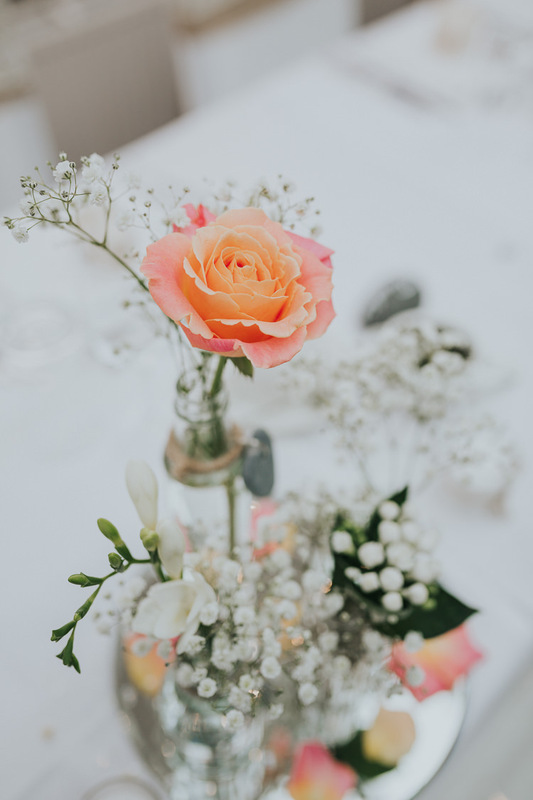 Table settings – Miss Piggy roses, cream roses, bravadia and gypsophila. We also had bouquets of all of the above put together for the mothers of the bride and groom and my nan. 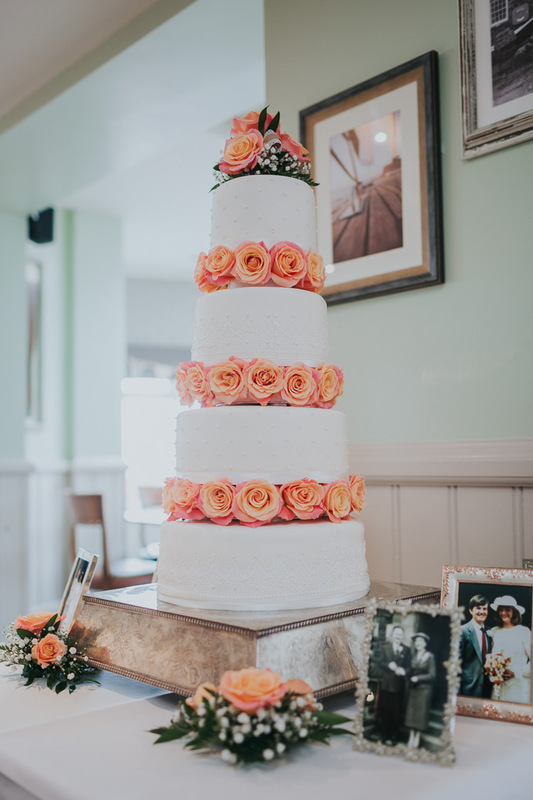 THE CAKE | Four tiers of carrot cake, lemon cake and fruit cake. Baked and decorated by Dan’s mum, Sara and travelled all the way from Melksham in Wiltshire. Much fun was had with icing tools and designs, with alternate tiers decorated with intricate lace icing and dots. Each tier was separated by Miss Piggy roses and our cake was surrounded by photographs of the weddings of our parents and grandparents. 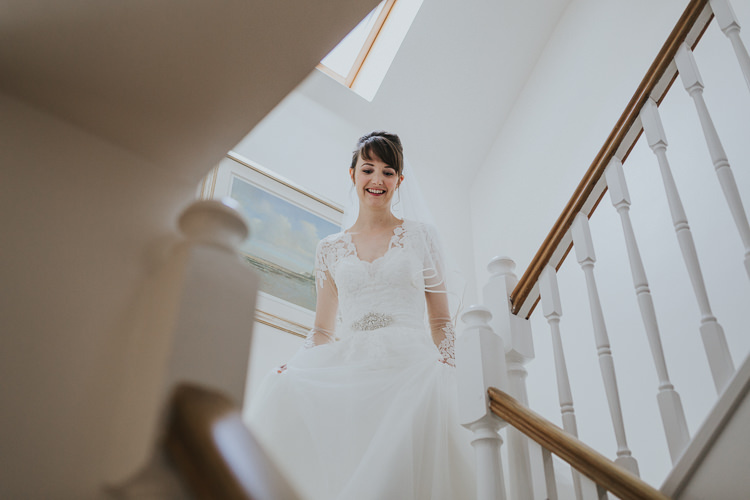 We also shipped in wheels of cheese from The Fine Cheese Company in Bath, which Sara decorated with handmade knitted mice cake toppers and hessian and lace dividers. This was sat on a tree base carved with our names from by a local tree surgeon in Kent. 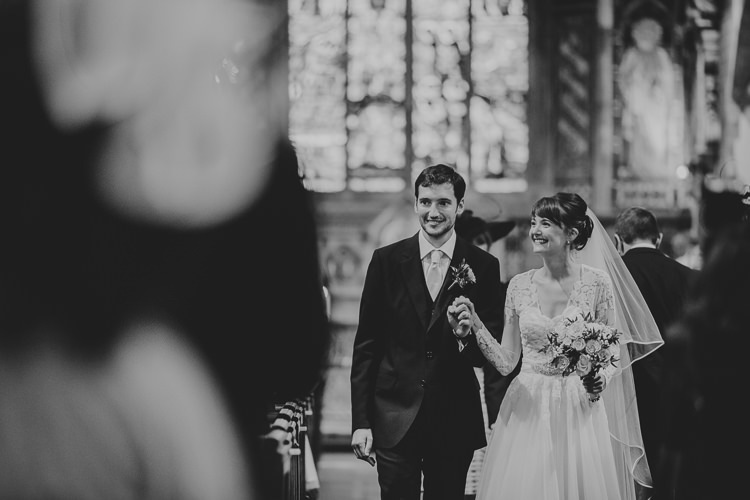 YOUR PHOTOGRAPHER | Kate and Jon Gray of Kate Gray photography, a very talented husband and wife team. 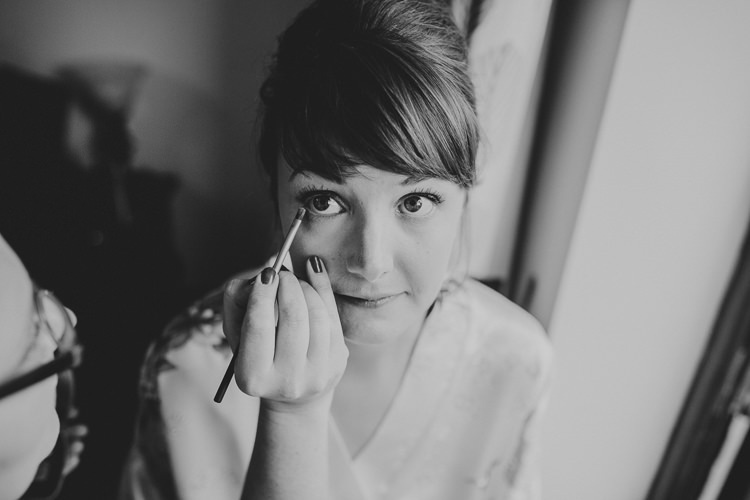 We fell in love with Kate and Jon’s relaxed yet detailed style of photography. 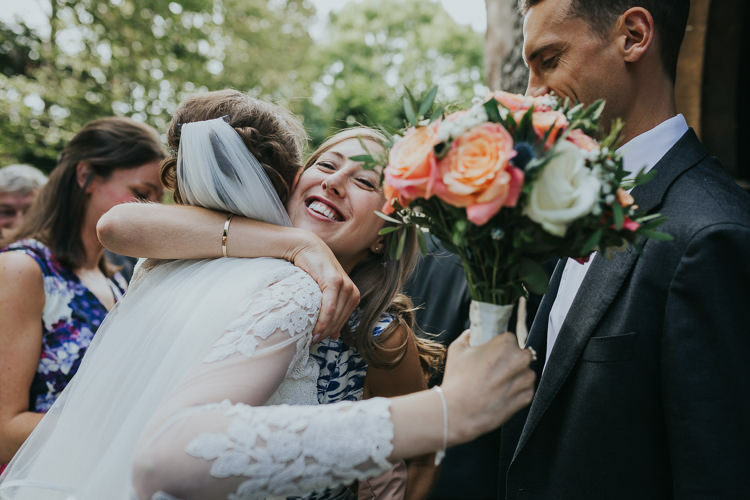 We were so pleased with how they captured all the little touches and the special moments that are gone in the blink of an eye. 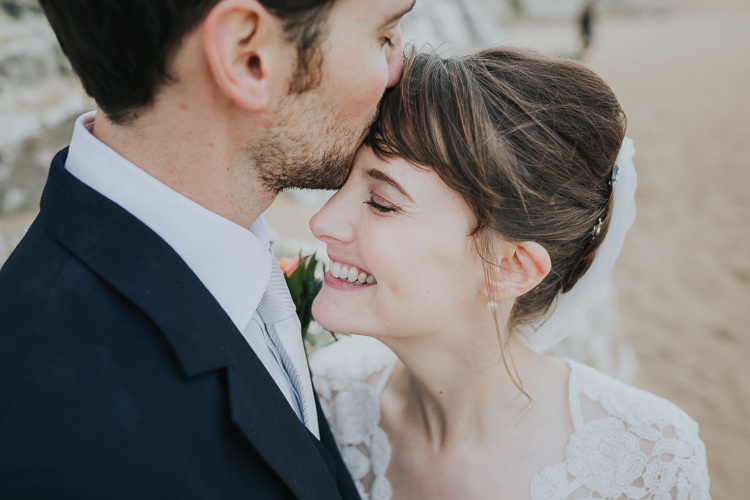 We felt very quickly at ease with their style and professionalism – kicking off with a pre-wed shoot in Bristol where we met at university. 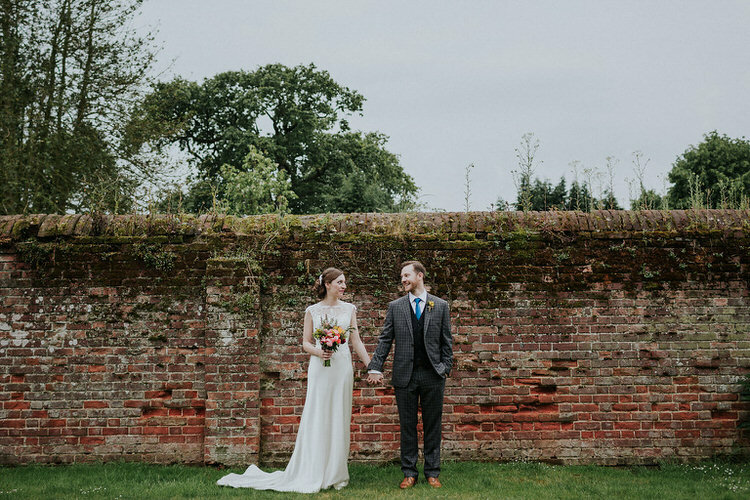 Our wedding album takes us instantly back to 10th September 2016 and is one of most treasured possessions. 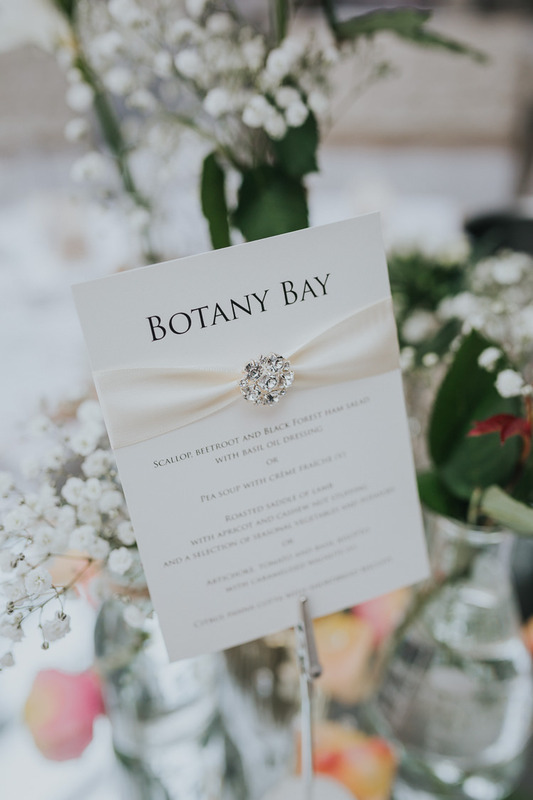 THE DETAILS & DÉCOR | Going back to the beginning, our save the dates were postcards from Botany Bay with a message written in the sand. Our invites were cream and coral, tied together with twine. 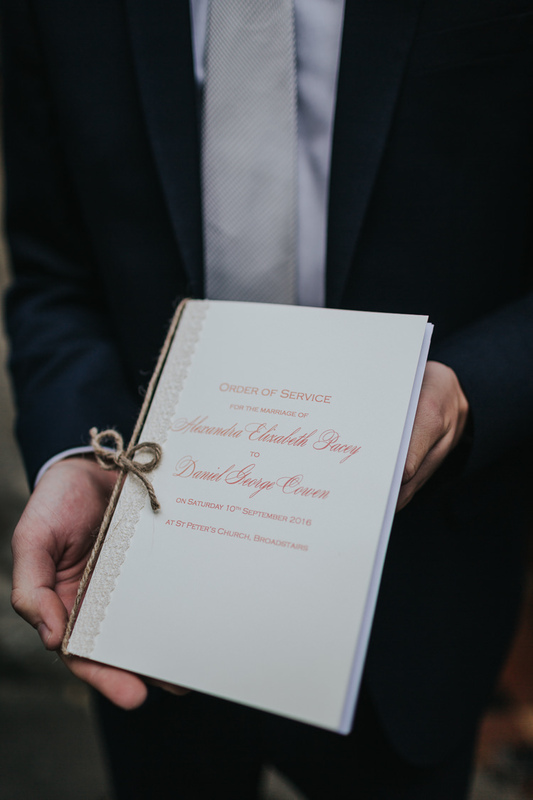 For the church we handmade the orders of service with lace borders and held together with yet more twine. As our gifts to each other on the morning of the wedding, Dan gave me the perfect throw back to New York with a Tiffany heart bracelet engraved with my new initials “AEC”. 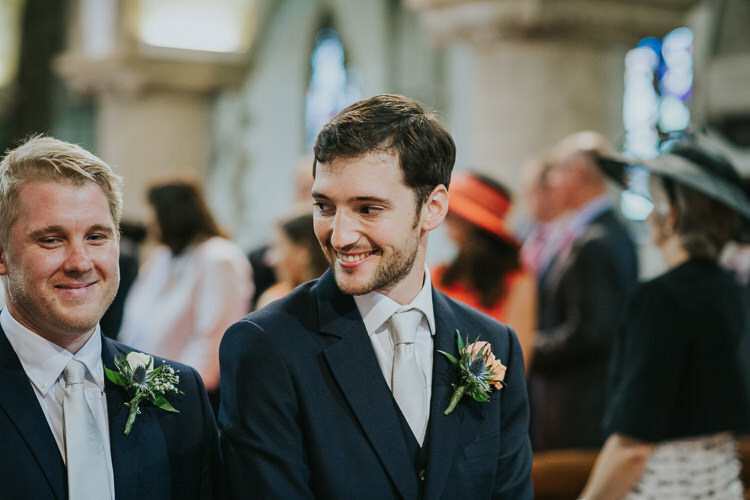 I gave Dan a watch with personalised cuff links (one a map of Central Park with our engagement date and the other a map of St Peter’s Church with our wedding date). 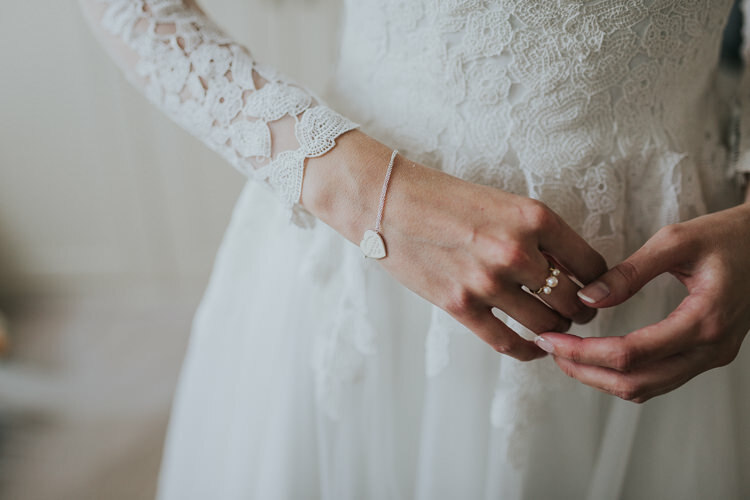 For the bridesmaids we bought Links of London pearl earrings and bracelets with coral stones to match their bouquets. For the groomsmen personalised leather wash bags. 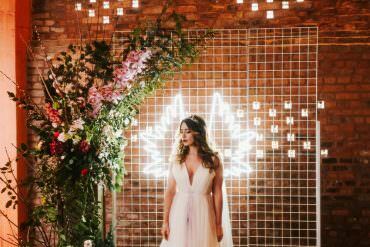 We kept the decoration very simple and focused a lot of the detail around the flowers, which ran as a theme throughout. 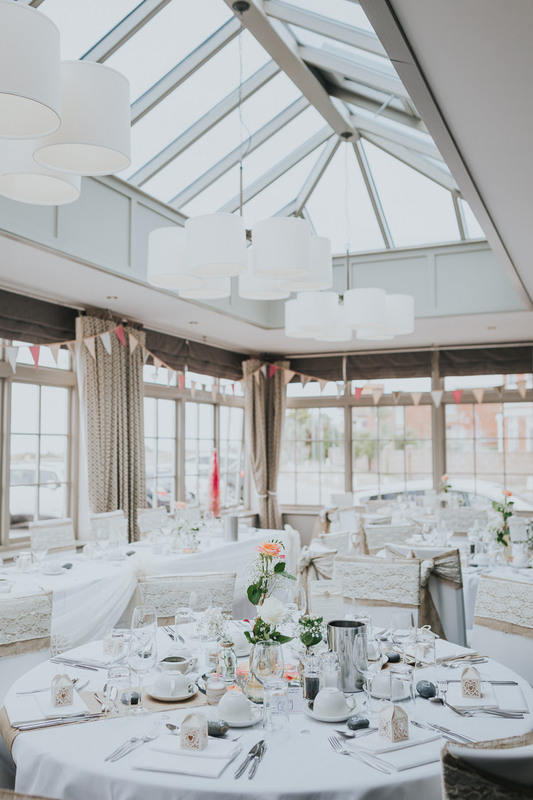 We loved a bit of hessian and lace, which together became our table runners, chair ties, decorated our cheese cake and tied the bouquets. 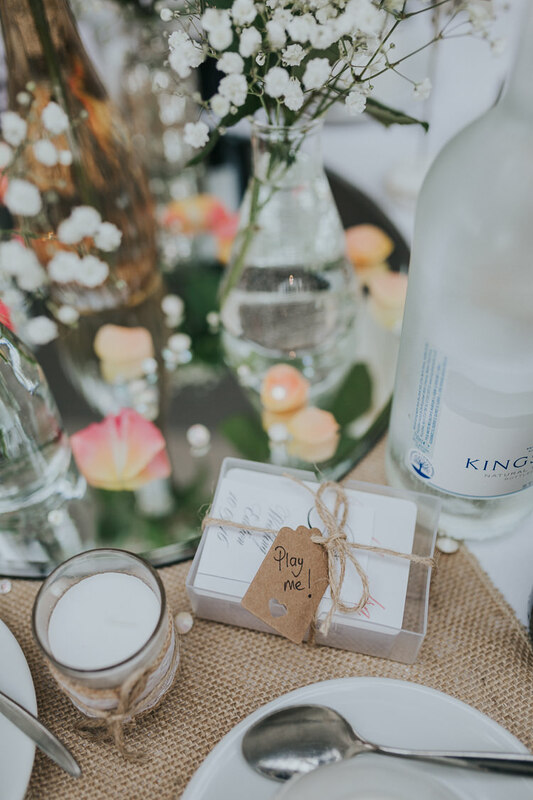 The tables were scattered with Mr & Mrs Cowen mirrored hearts, a gift from my aunt Janice, and were all named after our favourite beaches. We also recreated the game PIT for the tables with personalised cards of all our faces! 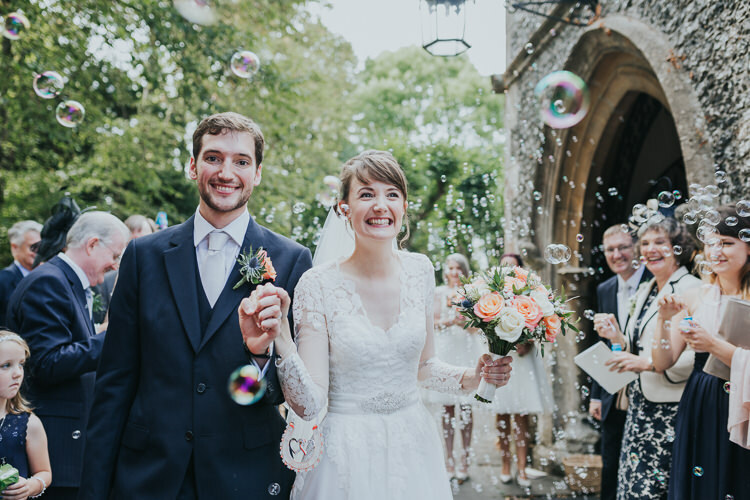 Rather than confetti, we went for bubble guns and blowing bubbles for outside the Church. 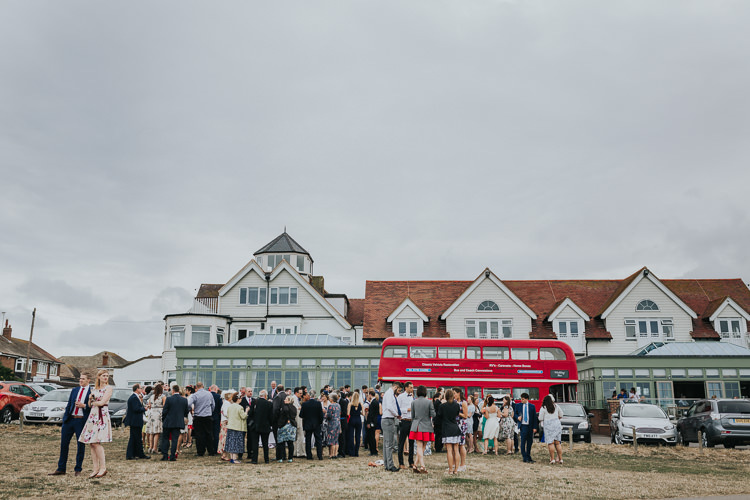 Everyone had great fun on the London double decker bus to travel to the reception, complete with bus tickets from the conductor. 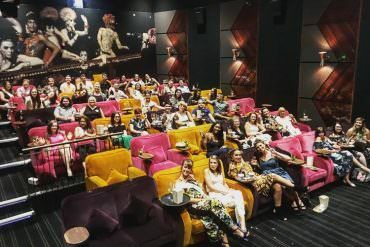 THE HONEYMOON | Ubud in Bali, Gili Air and Singapore. 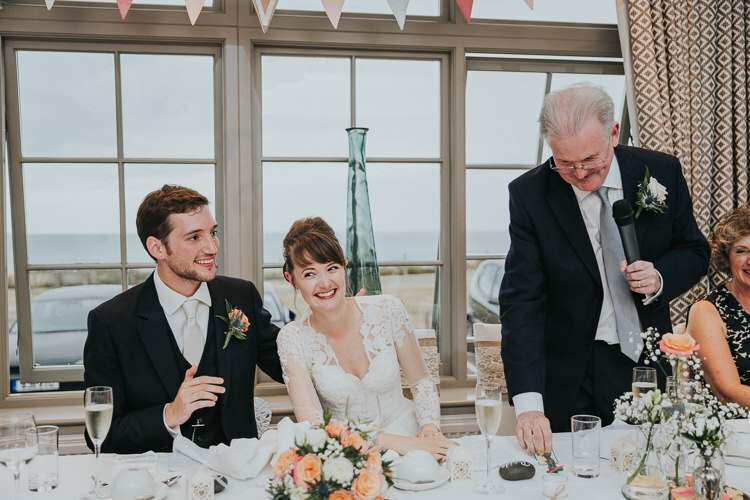 MEMORABLE MOMENTS | The father of the bride’s speech was a very memorable moment! 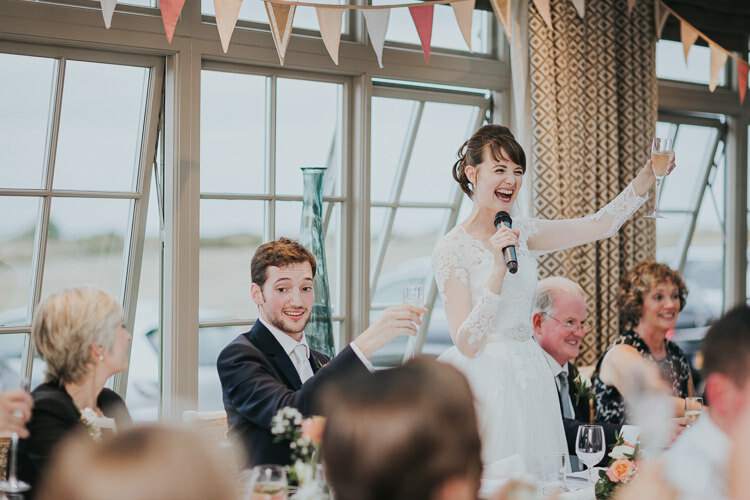 Having rehearsed in the car driving to work and in the garage when no one was looking, Dan second guessed one of dad’s punchlines, which was one of my favourite photographs! 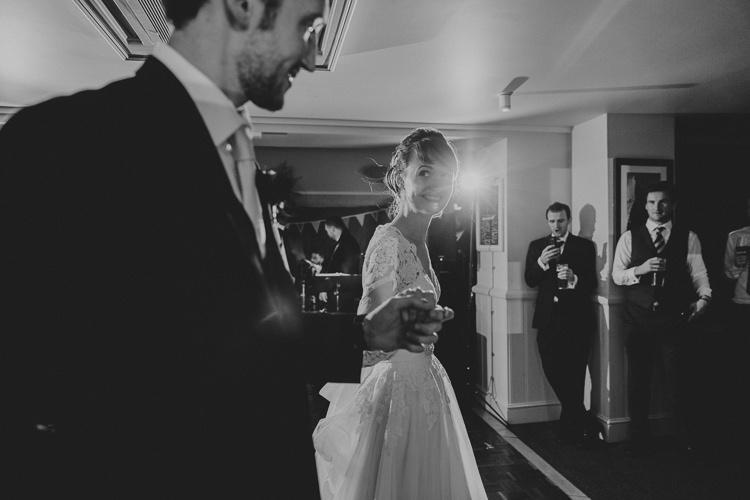 Dan and I learnt our first dance in a studio in Canary Wharf, starting only three weeks before the wedding. Given zero dance experience, we were pretty pleased once the routine was over but it went really well! 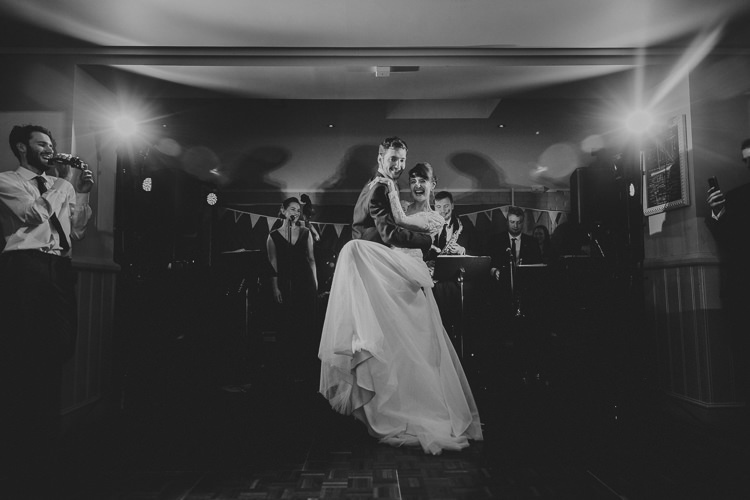 Our first dance was to Fly to the Moon by Frank Sinatra… with the song of the band being New York New York! 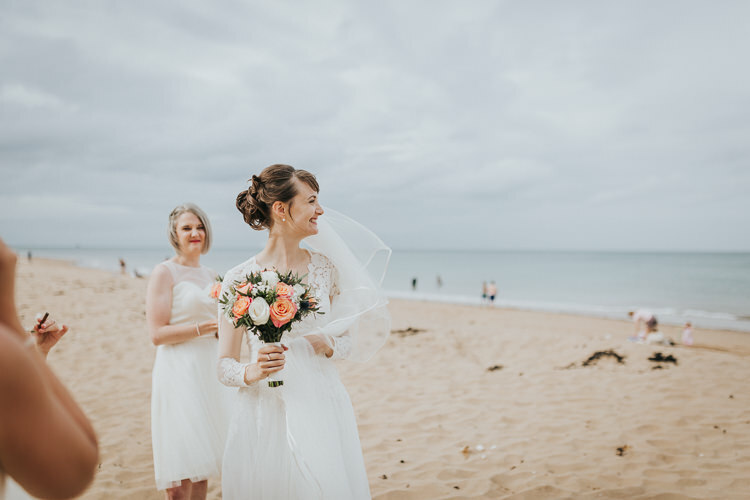 A happy moment for me was giving my nan her wedding flowers the day after the wedding before we travelled for honeymoon. Nan was sadly in hospital at the time but she said it was the happiest she had ever seen us! 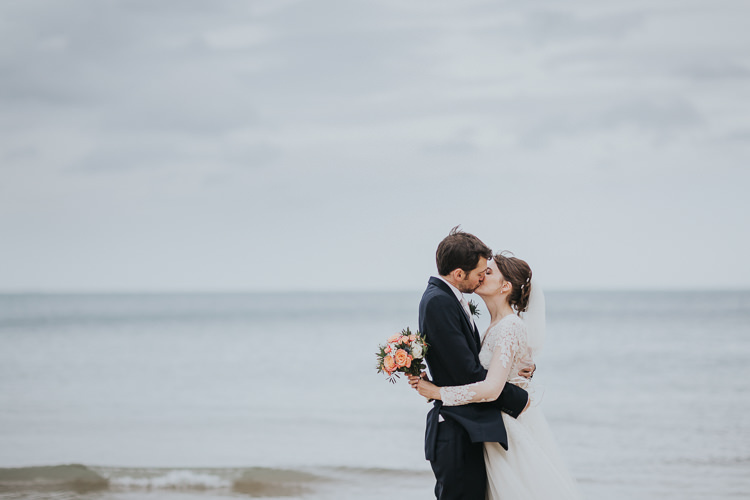 ADVICE FOR OTHER COUPLES | Those who know me won’t believe I’m saying this, as I never took this advice, but do not worry about things that are outside of your control! 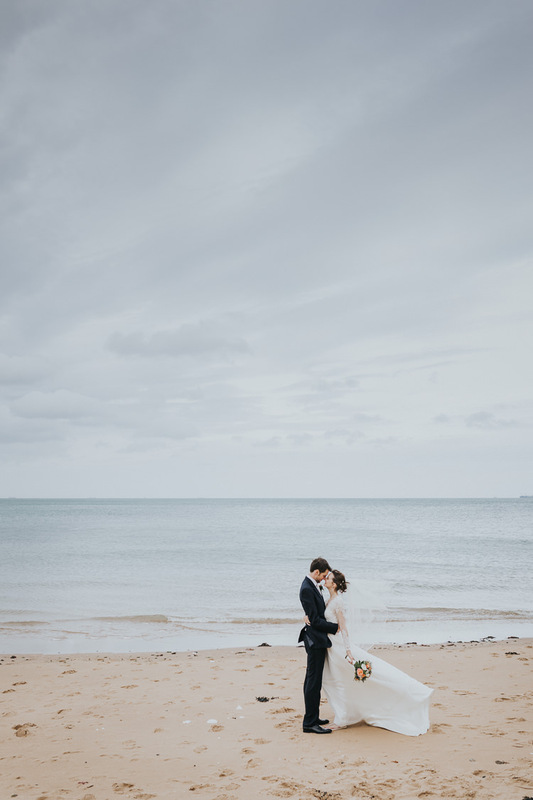 I was checking the weather forecast at 4am on the day of the wedding, although thunderstorms were forecast pretty much all day, we ended up with beautiful weather, perfect for the photos on the beach! 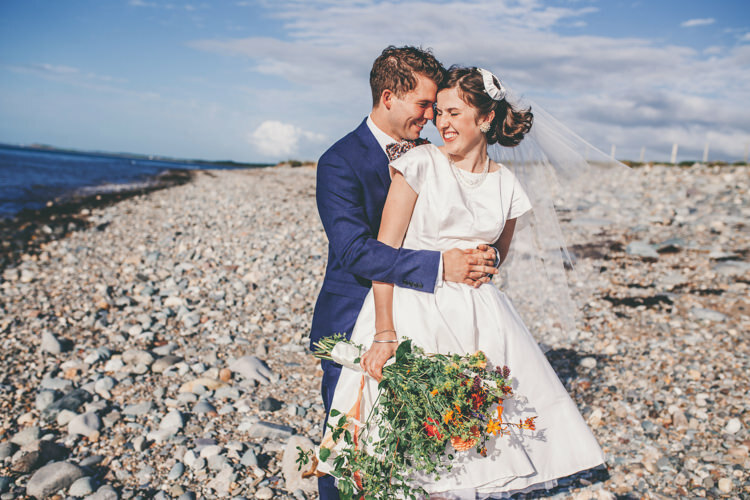 Wedding cake | Sara Cowen! Shortbread heart shaped favour biscuits | Mother of the bride! 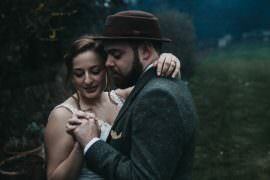 A beautiful wedding day! 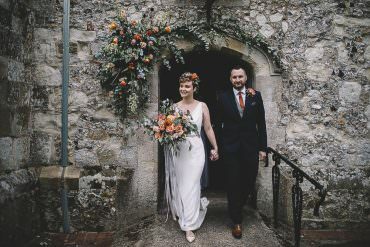 It looked like a very fun and relaxed day, Kate Gray Photography have captured some gorgeous images of the day showing the fun and true emotion that a wedding day brings. 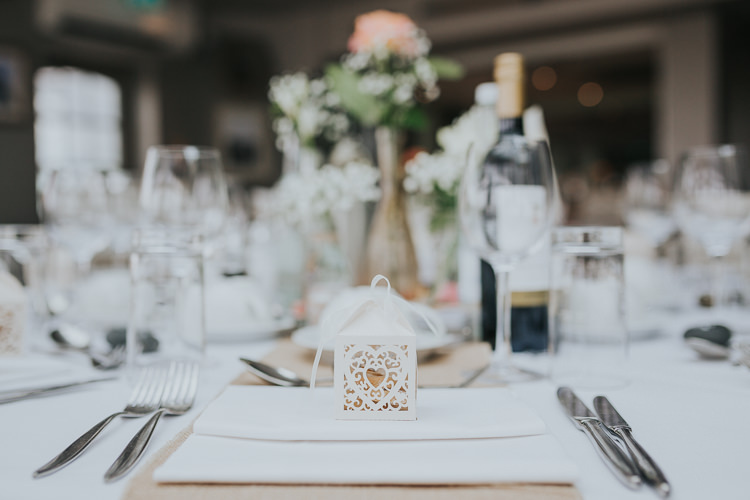 I loved the colour theme and how it ran throughout the day from the table settings, wedding cake and bouquets! 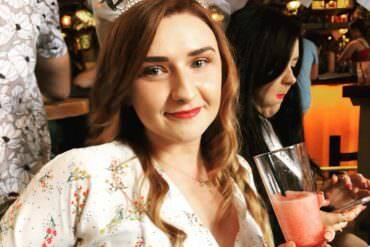 Wishing Alexandra & Dan all the very best and happiness for their future!